No one can quite believe these vegetables are not stir fried. It’s a must try thermomix super simple guided recipe if you like vegetables and possibly our most used guided recipe. We use between 500g to 1kg of fresh vegetables depending on what’s in the fridge and what’s cooking for dinner. 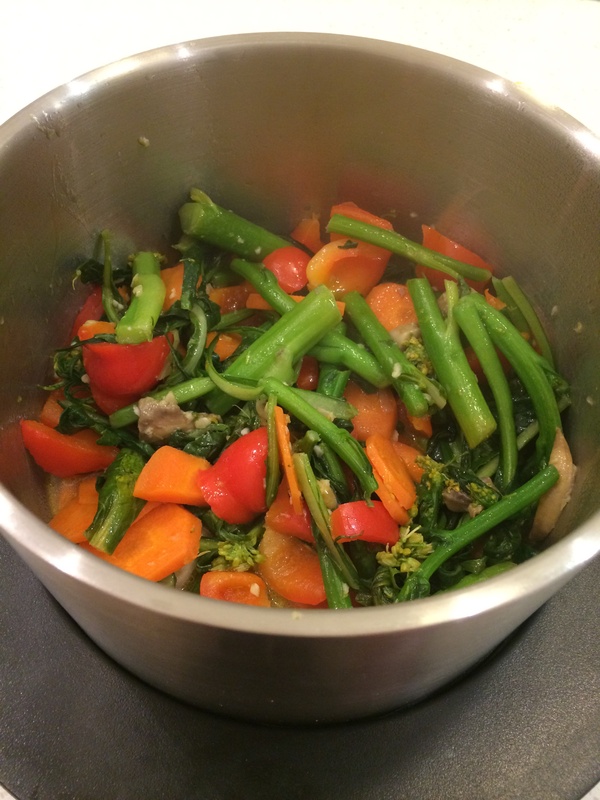 It doesn’t get boring because you can change the mix of vegetables every night ( recipe states 500g but we often increase to 1kg of vegetables), as long as there are some the kids will eat everyone is happy. If increasing to 1kg increase cook time a couple more minutes, 9 minutes. And it’s perfect for using up the end of week vegetables left in the fridge. Leave out the chillies if preferred and follow from the garlic and ginger step. Perfect crunchy tasty vegetables ready in 7 minutes, no stirring, no standing at the stove. Woohoo! Add some grilled/steamed chicken, beef or fish and dinner is done.